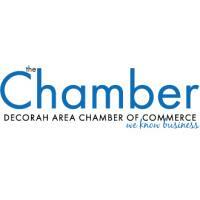 I started my tenure with the Decorah Area Chamber of Commerce (DACC) in the spring of 2000 as an intern from NICC. I found a job that I was passionate about and wanted to learn more. Fortunately for me, I was hired into a full-time position upon graduation. I spent some time with a couple of other organizations but am happy to say that in November of 2013 I celebrated 10 years with the DACC. I have a B.A. in Business Management from Upper Iowa University and am a graduate of the U.S. Chamber of Commerce’s Institute of Organizational Management with a certificate in Non-Profit Management. At the DACC I work closely with our accounting functions, operations, Ambassador Committee and Ag Committee. Keeping in touch with members is a top priority. The more conversations we have the more relevant the program of work through YOUR chamber becomes. I look forward to making your partnership with the DACC the best it can be! The Decorah Area Chamber of Commmerce wants to help you establish a network with in the Decorah and Winneshiek County area. 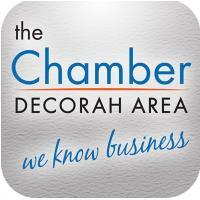 The Decorah Area Chamber of Commerce provides resources and programs to promote its member business interests and enhance the business environment of the Decorah area.